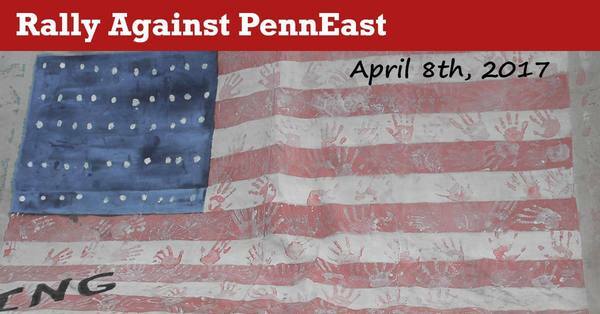 Join Us April 8th, to Rally Against PennEast Pipeline! Join us for a community event featuring food, crafts, music, petition signing, and solidarity against this dangerous, unneeded pipeline. Fun filled day-long rally event featuring period costumes, town criers, "wagon stage" and more! Come and join our communities to rally in protest of PennEast and have some fun! Let's Show PennEast they can't tread on NJ or PA! Sponsors and supporters include, HALT PennEast, ReThink Energy NJ, Holland, Alexandria, Kingwood, West Amwell, and Hopewell CAP's, NJCF, and more added every day!